Barry Gibb's magnificent 1984 concept film arrives on DVD for the first time. 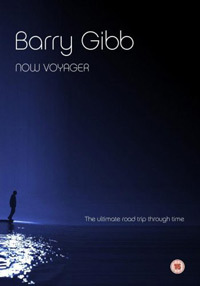 This 60 minute 'road movie' accompanied Barry Gibb's 1984 album of the same name, linking a series of pop music videos into a surreal musical journey through time, life, death, loss and pain. The film, which also stars legendary British actor Sir Michael Hordern, starts with spoilt pop star Gibb driving along a lonely road. After refusing to stop and help a stranded female motorist, Gibb falls asleep at the wheel and drives his car off a bridge into a river. Escaping from the car, he comes to the surface in a strange swimming pool, where the mysterious Hordern is waiting. Hordern takes Gibb on an amazing journey through time and space (and himself). The main setting of the film is the wonderful listed Victoria Baths in Manchester, winner of the BBC's Restoration series. This makes a dramatic, yet unnerving, location. The perfect setting for Barry Gibb's journey. The production is sumptuous, with beautiful cinematography. Gibb makes a charismatic lead, although one one or two occasions his acting abilities are questionable. The music is all first class, with Gibb experimenting with new styles and sounds. The videos accompanying the songs, which all link together to tell this breathtaking story of discovery, are without exception excellent. In 'I Am Your Driver', Gibb finds himself on a space ship journeying through the stars, a sequence which has some of the atmosphere of the British science fiction series 'Doctor Who' (including one of its guest stars!). 'Temptation' sees Gibb being tried for crimes against women in a futuristic setting, whereas in 'Lessons In Love', Gibb watches his younger self nervously explore a brothel. 'Shatterproof' is surreal, with Gibb caught in a nightmare world, with some fantastic examples of vintage fairground artwork and equipment. In 'Stay Alone', he takes to the high seas, in a very stylishly filmed sequence with ex-Bond girl Myriam D'Abo. 'Shine Shine' is a stand-out track and an astonishingly well-filmed video, set at a wedding with a difference. Equally impressive is the James Bond style, Florida setting of 'One Night (For Lovers)', an impossibly romantic video. In 'Fine Line' a clean-shaven Barry Gibb takes to the stage for his fun white-rap track. Finally, the film takes a grittier turn in 'The Hunter', as Gibb has to escape the clutches of some gangsters. Will he escape this strange land and return to civilisation? The amazing thing is that, despite its surreal and sensory style, the story has an impact. At the end, everything makes sense - and it makes you think about your own life. As an additional treat, the DVD includes 'Inside Now Voyager' - The Making Of The Film - which serves as an excellent reference to put into context the legacy of the film in pop history. This is a great film, with high production values, set to fantastic music, with Gibb making a charismatic lead. Gibb is pushing the boundaries of pop music and pop video, and has made a great piece of art. A must for all Barry Gibb and Bee Gees fans.